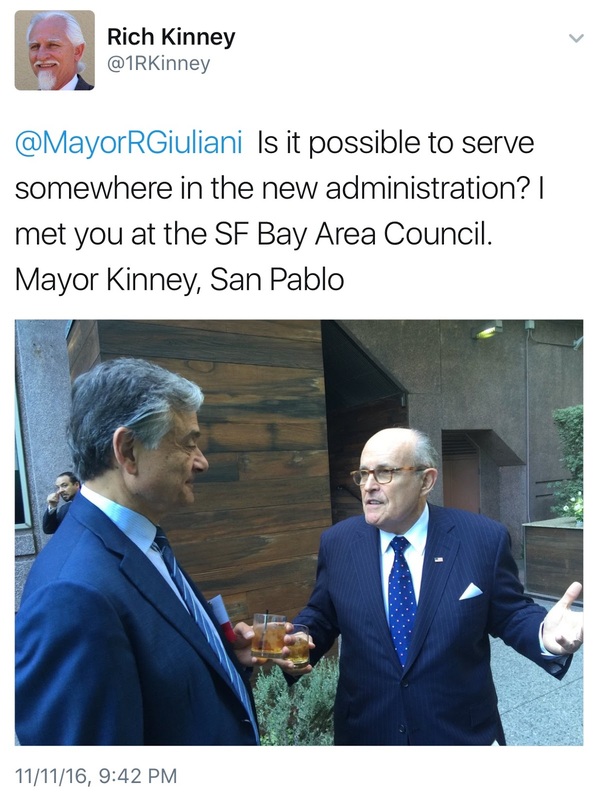 ELECTION 2016 | Large anti-Donald Trump protests may be raging miles away in Oakland and other East Bay cities, but San Pablo’s Mayor Rich Kinney is interested in serving the president-elect. 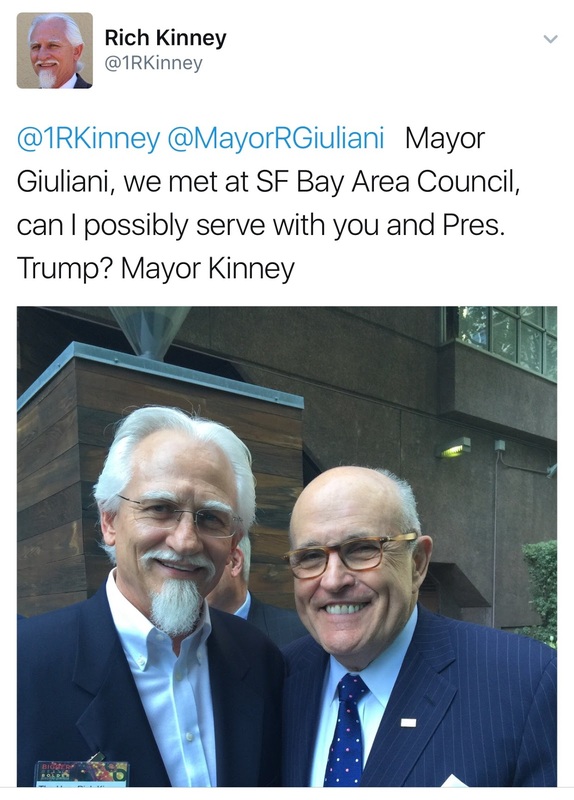 In a series of tweets last weekend, Kinney offered his services to Trump. 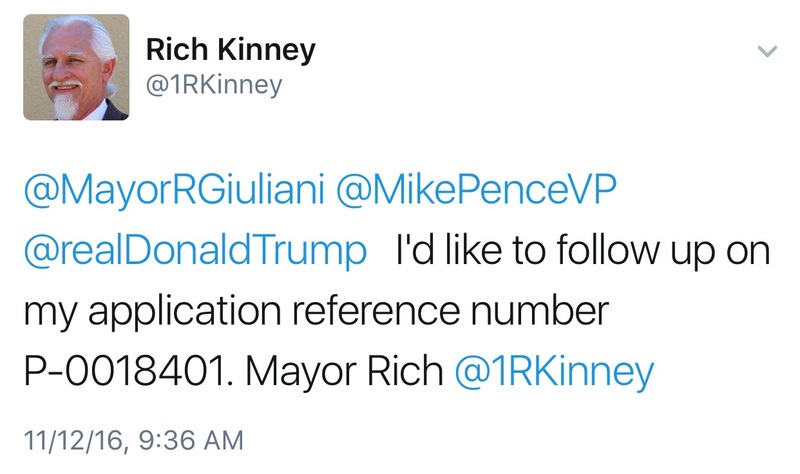 It even appeared Kinney filled out some sort of application, according to one tweet. Kinney did not respond to an email this week asking for more information. Kinney, a registered Republican, more recently ran for the open Ninth State Senate District seat this year. He finished last in the four-person June primary, involving Nancy Skinner and Sandre Swanson. Kinney garnered seven percent of the vote. Posted in president, protests, Republican, Rich Kinney, San Pablo, SD9. Bookmark the permalink. Kinney should be serving KFC instead. Kinney needs to be unseated.